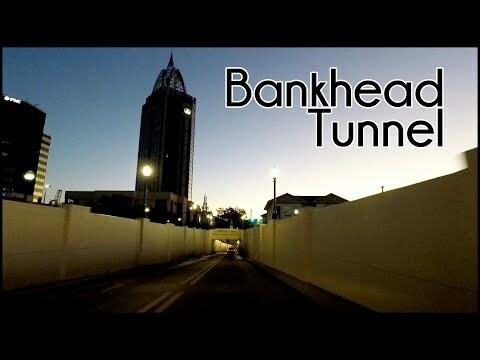 NBC 15's Andrea Ramey did a Reality Check report this week about a leak in the Wallace Tunnel. She says viewers contacted NBC 15, wanting to know what was going on. In the video below, you can see Andrea Ramey talk to an ALDOT engineer, who says we shouldn't be worried... and he says "We're never going to stop the Wallace Tunnel or the Bankhead Tunnel from leaking 100%"
I wonder if we could somehow repurpose the leak or leaks, and maybe create a carwash effect ? My car could always use a cleaning. Nothing could have prepared me for the stunning news my doctor gave me on my birthday! My life now is forever changed. Tourists Apparently Like Our Tunnels? We locals take our tunnels for granted, and may even dislike them because we get stuck in traffic jams in them. Buy out-of-towners apparently are fascinated by the tunnels! For the people who missed it, here is what happened at the Uncle Henry Surprise Birthday Party! Want to know more about Uncle Henry ? Get their official bio, social pages & articles on NewsRadio710! Uncle Henry, KP, Angelo and Norman spend about ten minutes discussing the latest episode of Game of Thrones. SPOILER ALERT- Details of the episode are openly discussed. Topics include: Nick Saban's Press conference and hip, driving in the left hand lane, Game of Thrones, various voicemails, and Mobile City Council discussion.